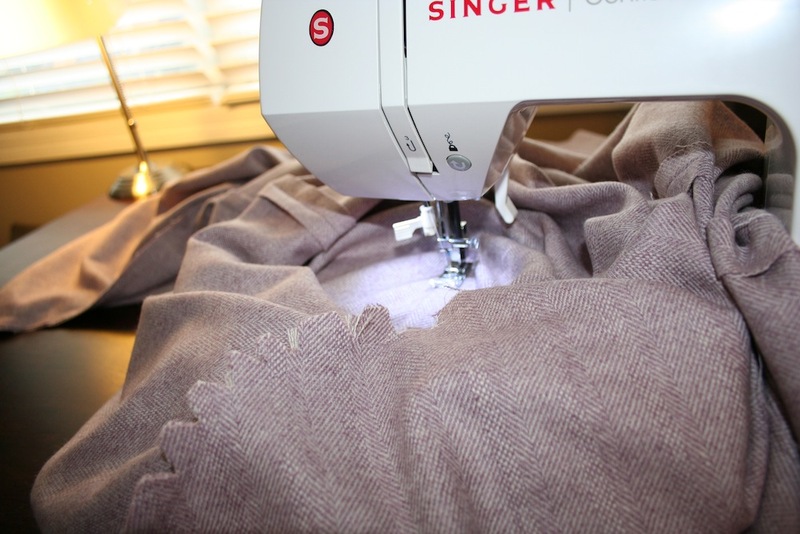 A little backstory: I took my first sewing class in August of last year. In that class I learned, among other things, how to read a pattern and how to purchase fabric from a pattern. During my next shopping trip at the fabric store, I came across two things I instantly fell in love with. 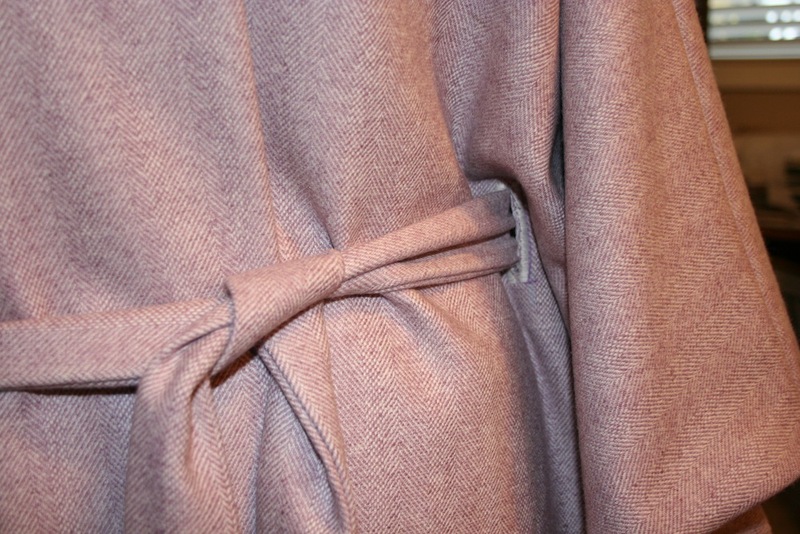 This cape pattern, and this lavender and cream herringbone wool-like fabric in the clearance aisle. At the time I had no idea how to sew (aside from the cute fold-over supply pouch created in the first class), but I knew that someday I would, and this fabric would be glorious. 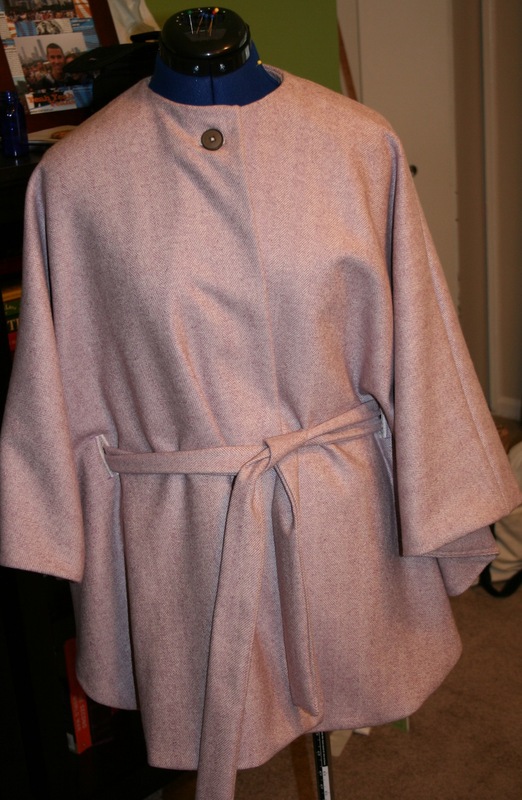 I painstakingly picked out the interfacing and matching lining, went to the cutting counter for the first time, and left the store excited with possibility. 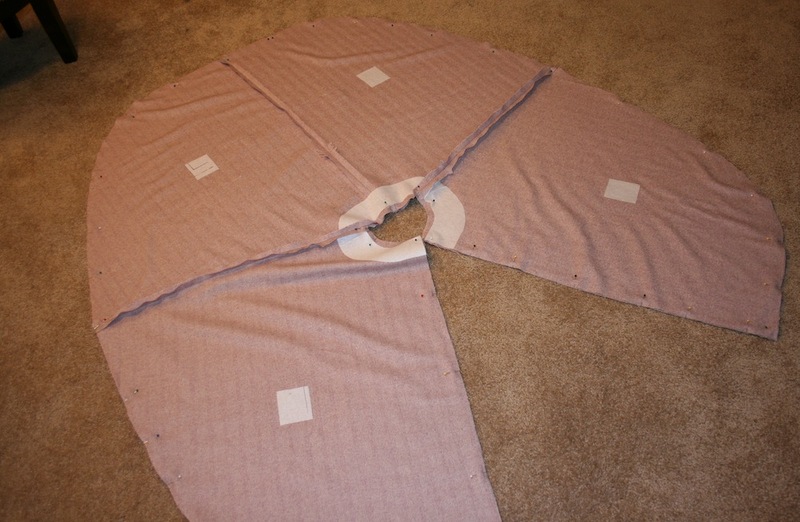 Sewing the “bones” of the cape was really quite simple – I just had to do everything twice because of the lining. The tough part came in the “finishing” – which really was finishing at all, but rather the start of a long, arduous process. 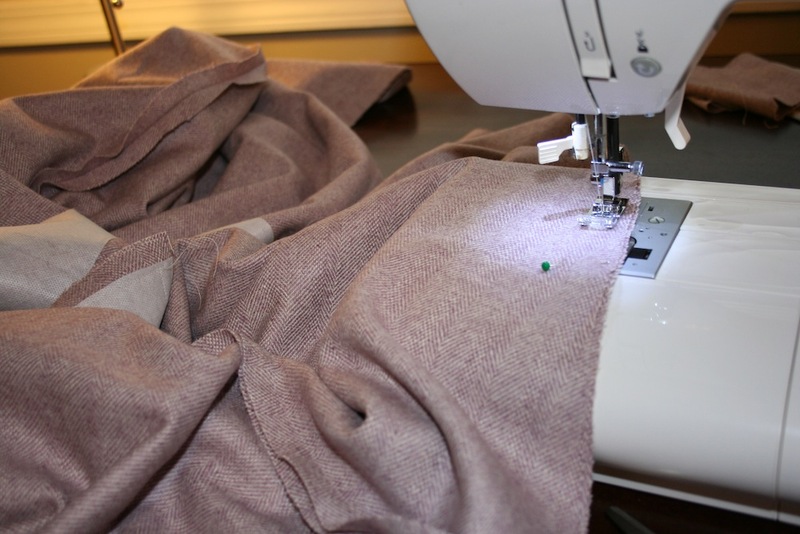 Unfortunate learning opportunity: read all the steps before starting, and keep reading a few steps ahead of where you are, because pattern companies couldn’t really care less about how difficult a step is once the entire garment is sewn together. I learned what understitching is (thank you YouTube). I also learned that it’s easier to do if your piece isn’t already 99% constructed. Ah well. 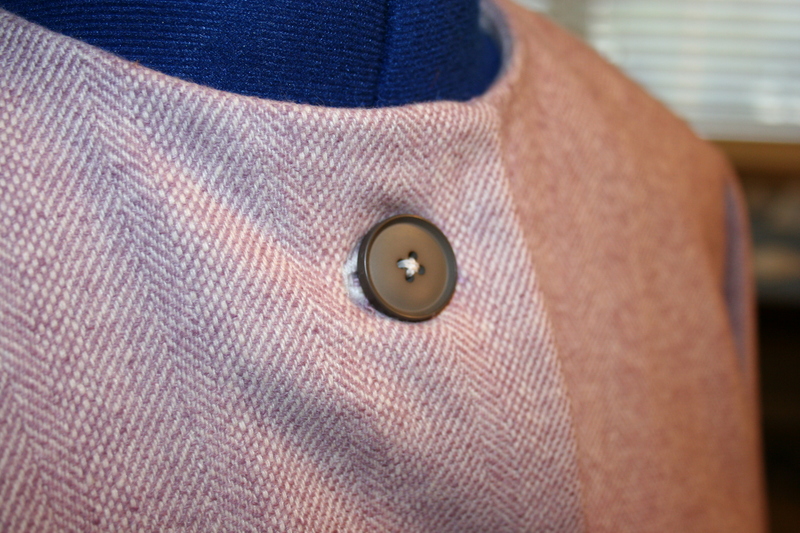 A few other things I learned for this project – sewing buttonholes using my machine, and sewing a buttonhole-type opening for the belt to slide through; there are side slits in the cape that attach the front and the back, but also allow the belt to come through to the front. All in all I’m really proud of this one. It’s a pretty fabulous cape. A little embarrassed that this is a Project Runway pattern – but why? I shamelessly had Tim Gunn’s voice in my head the whole time. 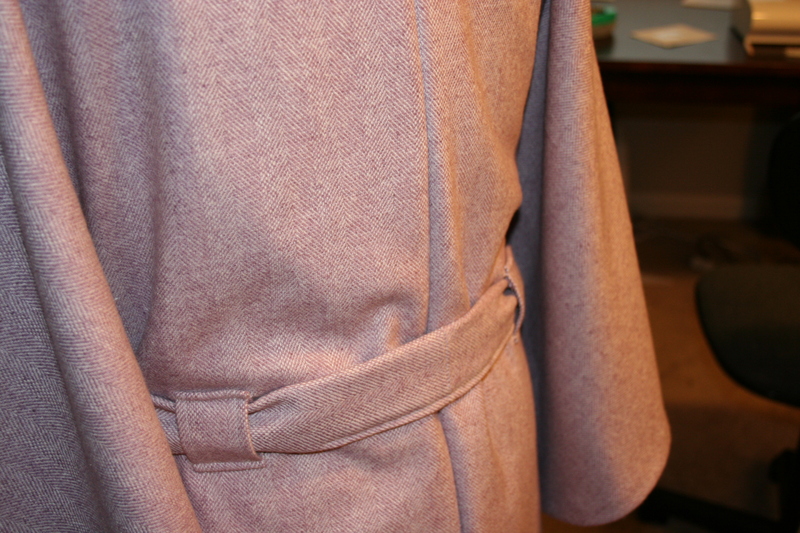 Pinning the lining and the outside together, interfacing at the collar and where the belt slits go. Here’s where it would have been handy to read through the pattern! I ended up stitching through a hole that was about six inches. I tell Ryan all the time that sewing is violent, and this is what I mean! Garments only look pretty when they’re finished; in the middle, it takes a lot of man-handling and things look pretty haphazard. But it’s so worth it when something turns out right.